Sign up today for JUNE classes and get $500 tuition savings (use code GOS500, exp: 6/30/18). Sign up today and save $1,000 when you study online to become a dental assistant this semester. A multicultural high achieving community for learning. Engaging all students in partnership with family and community to become informed, compassionate, global citizens. Will you start the ASDA Dental Assisting Program with the Online Education Setting or the Traditional Classroom Setting? ASDA maintains high standards and enforces strict requirements. Check to ensure that you meet them now and you are eligible. Deciding to become a dental assistant doesn’t guarantee your enrollment. Your entry will be pending the approval of the school. Orthodontic Class is an expanded specialty class for those of you that would like to dig deeper into the world of Orthodontics (ex; straighten teeth with different types of braces). After taking our General Dental Assisting class, in which we touch bases on the specialties; if you are interested in being an orthodontic assistant, this class would be beneficial for you! After you have completed the General Dental Assisting class, this orthodontic class is an additional 4 weeks to complete. You will receive two separate Certificates at the end of the programs. We have had great success after launching the Orthodontic Program and the local Orthodontist are hiring our students straight out of our classes! Learn how to take records, retie Patents, arch wire changes, place separators, Band and bond ,Work with Mini twin & self-lighting braces, orthodontic phases, status and much more! The cost for the orthodontic course for a current ASDA student is $1,000. The cost for an alumni student is $1,500. 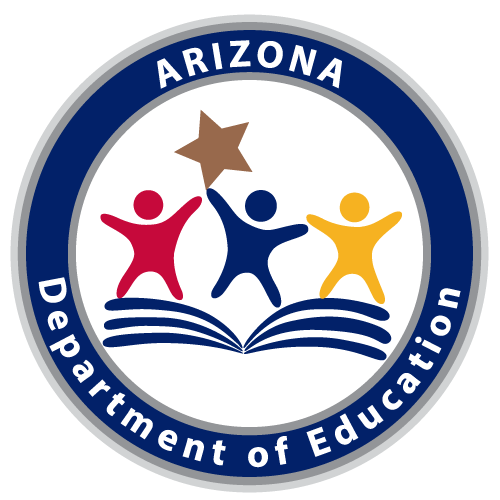 The cost for a non ASDA student is $1,800 and must contact the admittance office at 602-678-7061. A Quality School, Tradition Of Excellence & Pride! By enrolling in our dental assisting program, you put yourself on the career path toward success and joining a community of remarkable students and educators. Cultivation of desirable work habits is just as important as the acquisition of knowledge and the development of skills needed in a given occupation. Note: class times are subject to change. Connect with others who become a dental assistant and share similar experiences like you. Engage and inspire others in your profession and community. This amazing school literally changed my life! From the instructors to the president, to the outlook coordinator, they all help you and are there for you throughout this process! Whatever you need , whether it is extra help with a particular study matter, they are there for you! They also assist with job placement! If it wasn’t for this school, I wouldn’t have the opportunity that I have now! 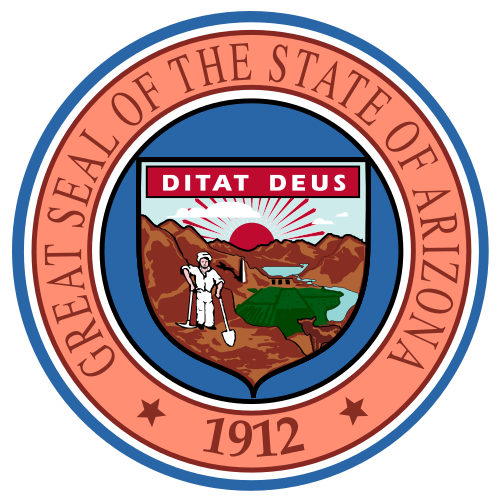 Do not hesitate when looking for a dental program, the school of Arizona dental assisting is the only place to be! ASDA gives you a great opportunity to learn. The instructors are always willing to help you out, and as long as you complete in class assignments then homework and exams are a piece or cake! I wish I could continue a whole journey of learning with them because they are honestly the best teachers you could ask for. Thank you! Fun Fast Easy course that gets you ready for real word dental assisting. Also super nice instructors that REALLY WANT to see you succeed. Lots of one on one. I really want to express my experience about when I had attended "Arizona School of Dental Assisting" it was life changing for me. Year's back I was in a place in my life that I knew was not the ideal way of how I wanted to spend the rest of my life. So I made the decision of attending this school as Lisa the President was my biggest support system along with motivating me to believe in myself. The class was small and I felt more of a one on one experience with the instructor. Anytime I felt the need to talk to Lisa she was there for me. I now have so many opportunities that have opened up for me because I made the best decision for me and my family. I have to thank Lisa and "Arizona School of Dental Assisting" for helping me succeed and believing in me. I recommend anybody who wants a career in the dental field to definitely follow your dream and choose "Arizona School of Dental Assisting"
So Just wanted to say That this school is Amazing! Not only do they teach what you needed to know about Dental assisting but they help find the right type of Dentistry field that is best for you! The class size is small, which is so perfect, you get that one on one attention with the instructor. You actually build a great professional relationship with them and a great bond with your classmates. This was the best decision I made, the results I got from this school was just great. I worked in the Orthodontic field for about 6 years, but I never pursued an education in the field, all the experience I had wasn't really being paid off just because I didn't have the Certificate saying that i went to school and got taught the material. To my surprise after attending this school I actually learned a lot , I just knew the basic, and they gave more knowledge about the field that I love! The school's curriculum consisted of half hands-on and half book work, they also gave you the chance to request more time on the side to help you understand what they were teaching you. Thanks to the amazing instructor Brittany for all the help you gave me. I got an amazing location to do my internship and in the field Orthodontics. I'm glad I made the choice to come here! Time went by too quickly but I know that I received all the right material to help me with my career! I will never forget nor regret the experience I got here at "Arizona School Of Dental Assisting" Thank you so Much and I Highly recommend this school to anyone that is interested in the growing field of Dentistry!! This school has been the greatest experience for me and I highly recommend checking it out. Everybody that works for this program has been extremely helpful in getting myself to exactly where I wanted to be in the dental field especially Bianca Archambeau. She is the head front office manager and the perfect person to set you up if you really wanna give this field a go. 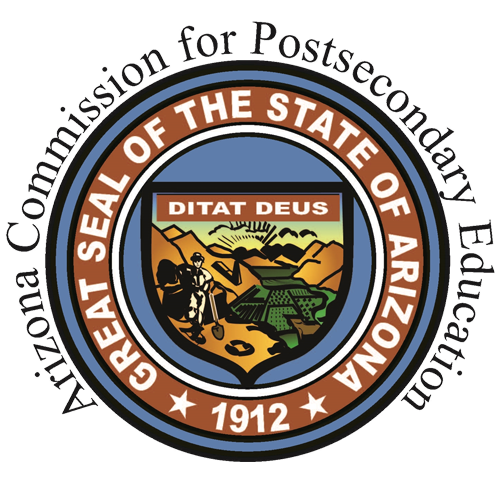 Arizona School of Dental Assisting was a wonderful place to become a certified dental assistant! I learned everything I needed to get a job and had a job within the next month after graduating from there! This short program was really affordable and I was able to find a position shortly after graduation. It taught me the basics to start my career and I’m really grateful that I found Arizona School of Dental Assisting. I’ve been doing this for almost 2 years now and love it. Well-rounded clinical training, amazing staff, and great atmosphere. I learned a lot in such a small period of time; the experience was very enjoyable. 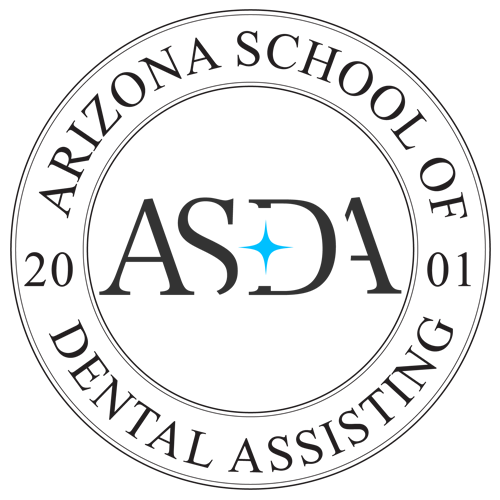 The AZ School of Dental Assisting adequately prepares students to tackle all facets of chair-side dental assisting. Because of the AZ School of Dental Assisting, I was able to become a proficient dental assistant. If you are looking for a career change this is the place to be. I wish I didn't wait this long for a new career. It's only 12 weeks! I'm glad I made that decision soon. I was able to get hands on in class and by the book. Whitney was my instructor now I have been RHS certified and I also have my coronal polishing . Don't wait!